China’s Xi and Li’s Disunity can harm Economy that can be good for the U.S. Both President Xi and Premier Li confused official when their forceful economic messages are contradicting each other. As the cabinet waited for another’s actions to be followed in reforming China’s state-owned sector, they ended up doing inaction or not doing anything at all. Xi wanted a “stronger, better, bigger” state juggernauts, with the Communist Party doing a central role. On the other hand, Li stressed the need to “slim down” state companies and to “follow market rules” in remaking them. 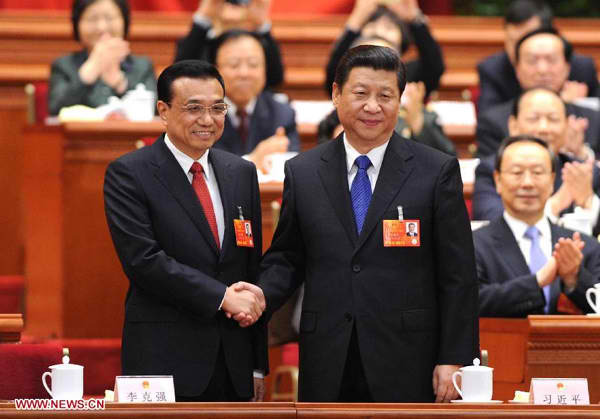 Most party insiders and Chinese political experts indicated that the conflicts now and in the past between these top leaders can lead to clash in the immediate future. The restructuring of China’s economic plan will definitely suffer because of such disunity. Is this speculation part of the ongoing bizarre black propaganda against China because of their resistance with the United States? Only time can tell. However, the local media is not agreeable to the observations of the foreign press. It denied the said disunity then criticized the international report as not addressing the actual issues.